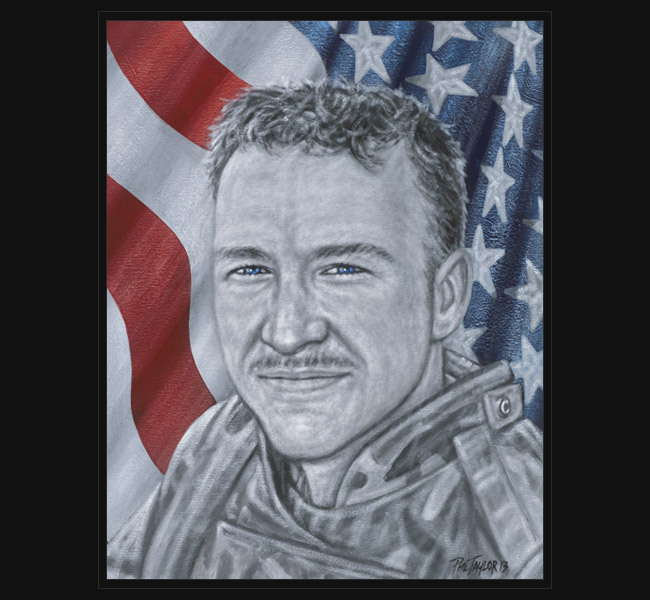 SPC Stephen Downing died October 28 by small-arms fire while conducting combat operations in Ramadi, Iraq. Stephen grew up in in Kentucky and attended Mooresville High School. He was a member of the Indiana Guard for seven years, but felt called at 29 to join he active Army forces. Before joining the Indiana National Guard in 1994, he was an avid snow skier and raced off-road trucks professionally. He was a man with no enemies who considered his friends as family. SPC Stephen P. Downing II was 30 from Burkesville, Kentucky. Original Portrait was presented October 29, 2013 to his family at the Marriott Marquis in New York City.